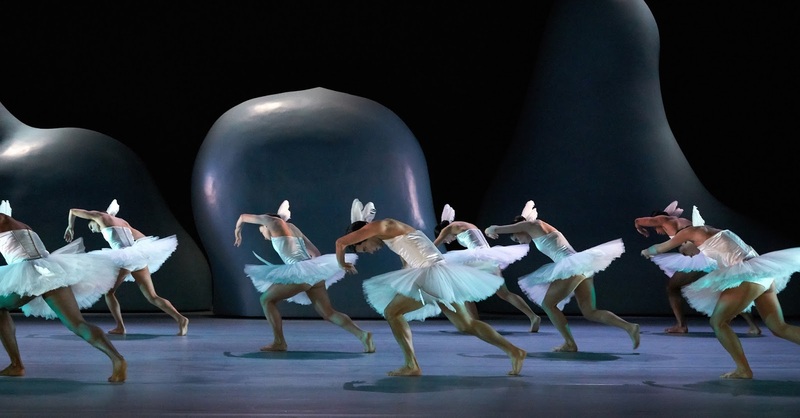 The Swan Lake, a ballet by Stijn Celis with music by Peter I. Tchaikovsky plays at the Theater Basel now as a very entertaining and humorous production. The costumes are very powerful and remind us a bit of Alice in Wonderland, which creates a fascinating contrast to the more classical parts of the ballet where the dancers dance in tutu's. For the first time there are not only female swans but also male ones, which we think is very beautiful. This production of Swan Lake is refreshingly different to every other Swan Lake we have seen before, the dancers are brilliant and managed to transport us with a wink into another world full of swans, deception, freedom and love from the first minute. The production is very colourful, entertaining and very captivating and we like the very fresh and lively way it is reinterpreted.